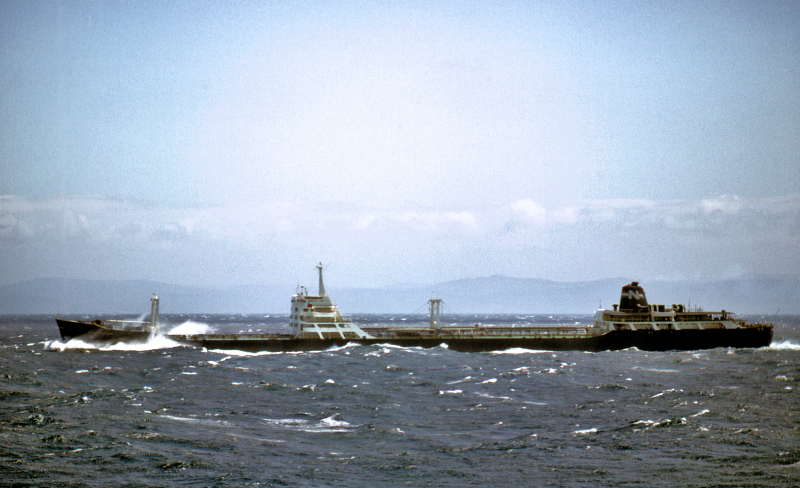 When the Spyros Niarchos passed the London Valour near Gibraltar in probably the late Summer of 1966, I took two photos of her. In 2012 I posted the other photo with her heading away from us.I think that this first shot with her abeam is worth a look as well. A magnificent ship on a 'great to be alive day'! This photo has been shown 944 times since it was added to the site.